As they did when Darko Butorac was selected as music director, the MSO’s Board of Directors will bring each of the five candidates to Missoula for a week during the 2019-2020 concert season. While here, the finalists will lead the orchestra in rehearsals and then concerts featuring a program of music they’ve selected. 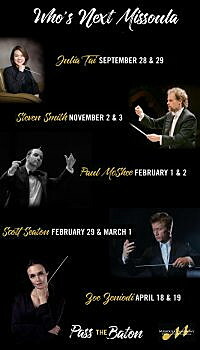 At season’s end, the board will select the next conductor/music director of the Missoula Symphony Orchestra. Here is the list of finalists – which for the first time includes a pair of women – plus the dates of the concerts they’ll present and information about their background released by the symphony. Praised by the Seattle Times as “poised yet passionate,” Julia Tai is quickly becoming one of today’s most dynamic young conductors on the international stage, having conducted orchestras around the world. As the music director of Philharmonia Northwest, Julia Tai has established a reputation for her creative programming and community partnerships. 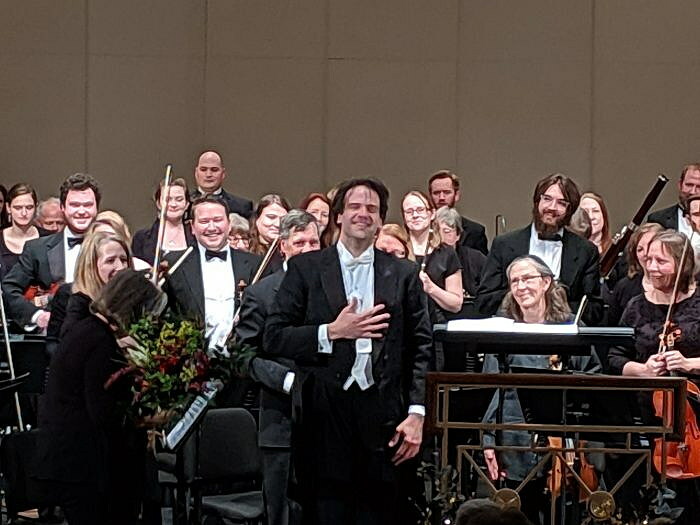 Scott Seaton is in his fourth season as music director of the North State Symphony in Northern California where he has garnered acclaim for his dynamic performances, innovative programming, and community and youth outreach. Seaton won the 2011 INTERAKTION competition and was given the opportunity to conduct an orchestra composed of all of Germany’s top orchestras.